A recent bat survey by the US Fish & Wildlife and the NC Wildlife commission did confirm that 6 bats out of the hundreds hibernating in Linville Caverns are infected with White-Nose Syndrome. We are working closely with these two agencies to control & end the spread of this disease. 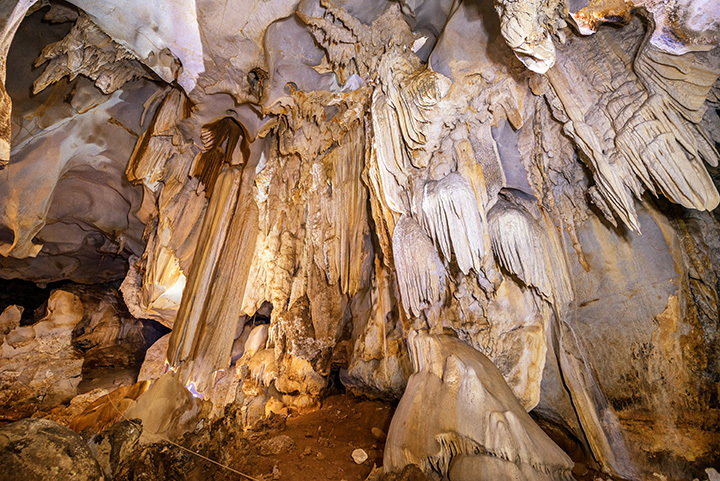 Linville Caverns is open to the public for touring as usual. We assure you that the fungus, Geomyces destructans, poses no health risk to humans...the caverns tour is safe as always. Our staff will ask visitors to follow a simple cleansing routine following their visit & these steps will help us insure that no visitor is contributing to the spread of this disease.